This article discusses continuing education requirements for X-ray technologists working in Kansas. The Kansas Board of Healing Arts regulates the use radiation-emitting equipment on humans for diagnostic or therapeutic purposes by licensed practitioners. The term licensed radiologic technologist (LRT) includes the practice of radiography, nuclear medicine, and radiation therapy. It does not include non-ionizing imaging modalities such as diagnostic sonography, echocardiography, or magnetic resonance imaging. Kansas CE requirements for licensed radiologic technologists are a minimum of 12 CE credits in the 12-month period immediately preceding license expiration. The continuing education activity must be related to the licensee’s area of practice. Newly-credentialed technologists renewing their license for the first time are exempt from the continuing education requirements. Current registration and good standing with the American Registry of Radiologic Technologists (ARRT) or Nuclear Medicine Technology Certification Board (NMTCB) is considered equivalent to Kansas X-ray CE credits. The ARRT requirements are for X-ray techs is to attend 24 hours of continuing education every two years. Kansas CE credits may also be fulfilled through academic courses. Each academic quarter or semester credit at a post-secondary institution is equivalent to 12 CE credits. 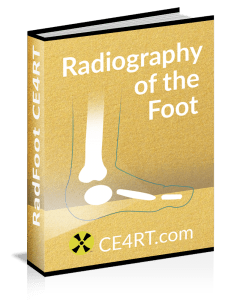 This is provided the course is relevant to radiologic technology or patient care. The technologist must obtain a passing grade or C grade or equivalent in the academic course. All Kansas LRT licenses are valid for one year and expire on September 30. Radiologic technologist licenses issued between January 1 and May 31 expire on September 30 of the same year. Licenses issued between June 1 and December 31 expire on September 30 of the following year. Failure to renew the license by October 31 will result in cancellation of the license on November 1. Radiologic technologists whose license has been cancelled are not permitted to work in Kansas until the license is reinstated by the Board. Continuing to practice with a cancelled license is unlawful. The reinstatement application form for LRTs in Kansas must be mailed in with a fee of $60 plus other charges and documentation. Upon review of the application, additional information may be requested before the license is reinstated. As a condition for license renewal annually, the radiologic technologist must certify on the form that during the preceding 12-month period immediately before license renewal, the individual has completed at least 12 hours of continuing education. An extension of time to complete CE credits may be granted by the Board upon request if the technologist can demonstrate undue hardship due to illness or injury or other circumstances that prevented completion of continuing education. Each CE credit must be at least 50 minutes of instruction or equivalent. Certificates of completion for CE activities must be maintained for a period of at least 3 years from the date of completion. 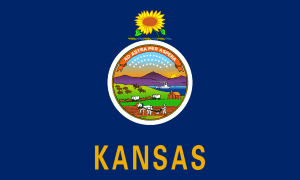 Kansas CE documentation includes the number of CE credits completed, the date of the activity, and the name, address, and telephone number of the CE provider. Our X-ray CE courses are ASRT-approved, accepted by the ARRT, and valid in the State of Kansas. We provide a printed verification of completion of CE activity per Kansas regulations. We offer a money back guarantee within 90 days of purchase that our courses will be accepted by any radiologic technologist, nuclear medicine, or ultrasound registry in North America, Canada, or US Territories. 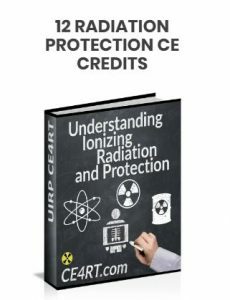 Our online course on Understanding Ionizing Radiation and Protection is an easy way for you to fulfill your Kansas X-ray CE requirements. These CE credits are approved by the ARRT* and will count towards the 24 hours biennial requirement of the registry. The Kansas Society of Radiologic Technologists is affiliated to the ASRT and is a useful resource for radiologic technologists employed in the state. Active membership costs $50 per year and applicants must be practicing in the field of radiologic technology and must submit copies of ASRT and ARRT cards. The society holds an annual convention and offers leadership and networking opportunities to its members. LRTs can also benefit from news, blog articles, and job listings in Kansas.